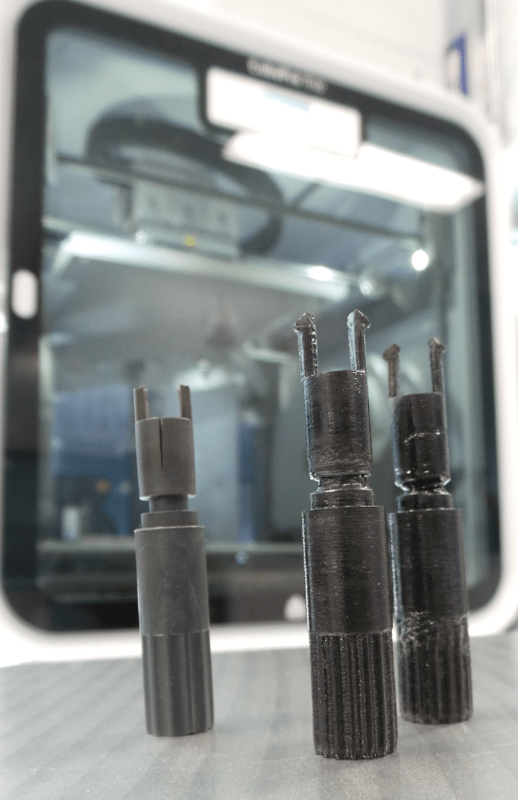 While using 3D printing to fix things is nothing new, we thought we'd do this little case study to highlight just how quick and easy it has become to use this technology to repair an everyday item thereby saving money and reducing waste. having to drink instant coffee until a new machine arrived or the old one was fixed. Heaven forbid! Thanks to the wonderful age we live in not only were we able to restore the machine to it's former glory, we did it with the minimum of fuss. While I was happy to draw up the replacement part myself in something like 123D Design , I figured I'd do a quick search. Lo and behold, Thingiverse came to our rescue with the exact piece we needed already created by user 'thomas63', making it a simple matter of downloading and printing the files. Thanks Thomas! 75 micron layer height, 3 surface layers, almost solid fill, diamond fill pattern, points supports (though they probably weren't needed) and with no raft. Total overkill, but we wanted good strong parts. It took just over three hours to print both parts (due to the super fine layer height), using just over 5 grams of material. Finally we brushed the parts with some Acetone to give them greater strength before fitting back in the coffee machine. Success! I don't think coffee has ever tasted so good. So there you have it. 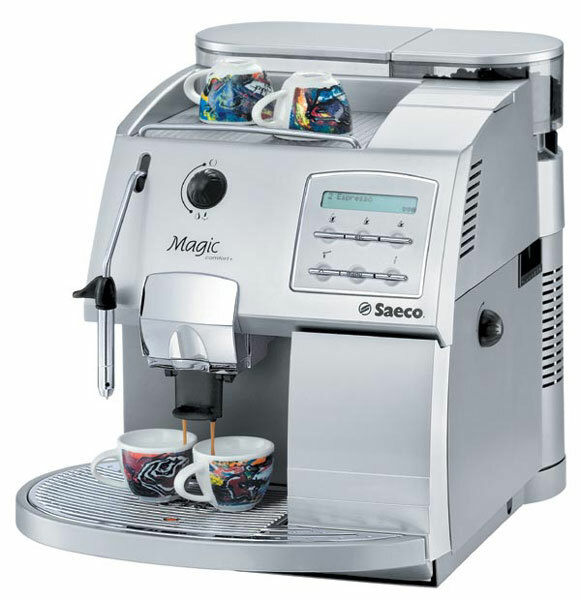 We saved ourselves several hundred dollars and a perfectly good coffee machine from going to in the trash with a quick look online and less than a dollar of material. We achieved this in a much quicker time (around five hours total) than if we'd been able to source a replacement part elsewhere - all thanks to the power of the internet and 3D printing.